Dallas, TX / ACCCESSWIRE / September 25, 2016 / Every summer, we hear about tragedies involving the deaths of young children who are left in hot cars, says John Helms a criminal defense lawyer in Dallas. Texas is one of 19 states with laws specifically aimed at leaving children unattended in cars. Texas’ law applies regardless of whether the child is harmed and regardless of whether the car or the weather is hot. Section 22.10 of the Texas Penal Code makes it a class C misdemeanor if a person intentionally or knowingly leaves a child younger than seven in a car for more than five minutes unattended by someone at least fourteen years old. Again, it makes no difference whether the child was harmed in any way or whether the car or the weather was hot. As hard as it may seem to believe, there are some situations in which parents or caregivers accidentally forget that their young child is in the car. If the parent or caregiver truly does not mean to leave the child and does so purely by accident, this is a defense to this statute, but not necessarily to others, as explained below. If a child is "abandoned" (no specified time limit) in a car intentionally, and this exposes the child to an unreasonable risk of harm, the person abandoning the child can be charged with the felony offense of abandonment of a child under Texas Penal Code section 22.041(b). Whether the risk of harm is "unreasonable" will depend on all of the circumstances, but a prosecutor could certainly argue that there is an unreasonable risk of harm based on high temperatures and the amount of time the child is left adds criminal lawyer Helms. In situations involving an even higher degree of risk, a person can be charged if he or she intentionally, knowingly, recklessly, or with criminal negligence places a child in imminent danger of death or bodily injury. This describes the felony offense of endangering a child under Texas Penal Code section 22.041(c). In cases involving leaving a child in a car, whether there is an imminent danger of death or bodily injury again depends on all of the circumstances, including the temperature, the child’s condition, and how long the child was left unattended. The crimes described above apply even if the child was not actually injured. 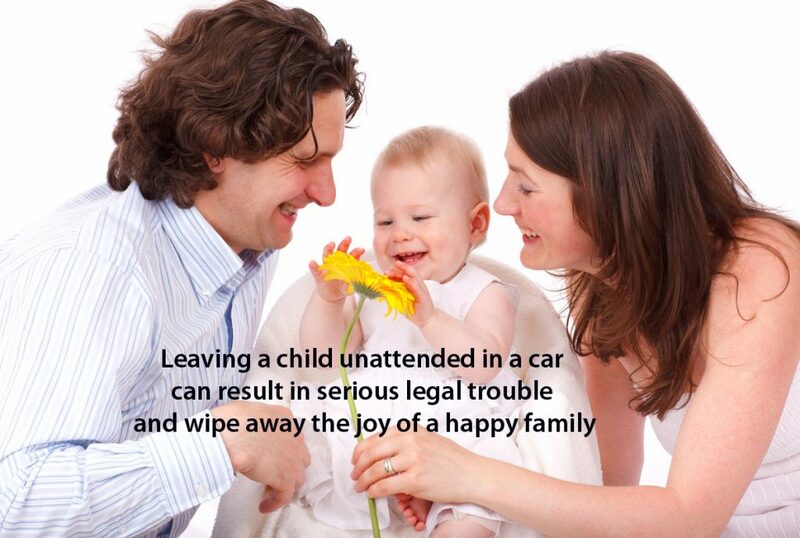 If a child is left in a car and suffers bodily injury or serious bodily injury as a result of actions that are intentional, knowing, reckless, or criminally negligent, the person leaving the child can be charged with the felony offense of injury to a child under Texas Penal Code section 22.04. The seriousness of the felony depends on the seriousness of the injury and how badly the person acted in leaving the child. Prosecutors have a lot of discretion in deciding what crimes to charge when children are left in cars. The laws are complicated and full of terms that are vague as in "imminent danger" and "serious bodily injury." Sometimes, prosecutors may be overly aggressive in bringing charges, and anyone accused of leaving a child in a car should consult an experienced criminal defense lawyer as soon as possible. In this type of case, a top criminal lawyer will investigate quickly to uncover all of the facts and circumstances that may be important for defending the case. If you, a family member or someone you know has been charged with a crime or have been convicted and need help with an appeal in the Dallas area, contact John Helms a criminal defense lawyer in Dallas at (214) 666-8010 or fill out the online contact form. You can discuss your case, how the law may apply and your best legal options to protect your rights and freedom.